I have titled this Post APPLE VALLEY, CALIFORNIA, AND ENVIRONS. 'Zilla, The-One-The-Only 'Zilla, and his wife, live in Apple Valley. We went to this area 100% totally to see them. BUT we also spent time in the 'environs' around Apple Valley proper. Basically there are three separate and distinct 'small' cities in this area of Southern California's High Desert. Apple Valley, Victorville, and Hesperia. United States Highway Route 66 is one of the legendary highways in the United States. Beginning in Chicago, Illinois, Route 66 wended its way all the way to the Pacific Ocean at Santa Monica, California, before it was removed from the U.S. Highway System in 1985. For all and more than you will ever want to know about Route 66, 'Google' it on 'Wikipedia'. Route 66 rings a strong and powerful 'bell' in my mind. Commencing on the 2nd of August 1958, my then new bride and I drove from Westfield, NY, all the way West to San Deigo, CA, much of it on Route 66. First on our list of things-to-do while Patti and I visited Southern California's High Desert was to visit the Route 66 Museum. As I mentioned above, Santa Monica was the western end of Route 66. What else to say except to introduce you to .. 'Zilla. Surely some of you, many of you?, remember the Burma Shave Signs! You don't? 'Google' Burma-Shave Signs. What a fun visit it was. Another fun and joyous visit. Their pet bear greatly enjoyed being one of the centers-of-attraction. Man-O-Manischewitz! Are 'Zilla's steaks something special. The four of us enjoyed the below Mexican Restaurant. My-Oh-My! What a special museum this turned out to be. We went in for a quick-touch-base and stayed considerably longer than we had planned to stay. Fantastic visit. The time has come to leave 'Zilla and his wife and for Patti and I to fly to Detroit, Michigan. We first flew to Las Vegas. Some scenes of the Ontario, CA, airport. This took us back to our visit of the Route 66 Museum you have seen at the beginning of this Post. Ontario, California, to Las Vegas, Nevada .. Desert and more desert. Can you possibly tell we are now in the Las Vegas, Nevada, airport? Detroit, Michigan here we are about to come. Goodbye to Las Vegas and the hot desert. Soon after take-off it was night time as we were flying East. 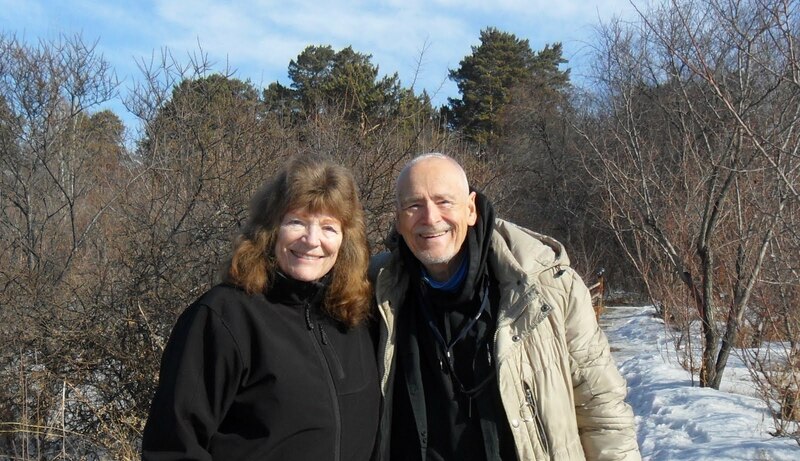 Patti and I were now in Detroit, Michigan and environs.